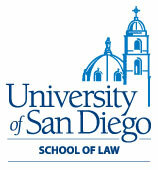 Other Graduate School/Year: SDSU, M.S.W. Tilisha Martin is the Supervising Attorney of the Minors Counsel Office for Dependency Legal Group of San Diego (DLG), a California nonprofit public benefit corporation. Prior to working for DLG, she was employed as an attorney for the San Diego County Public Defender’s Office of Children’s Counsel. 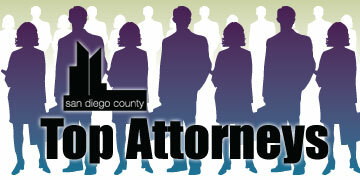 Martin has also worked as an attorney for the San Diego County Public Defender’s Criminal Division. In addition, she was employed as the Community Court Coordinator for the Downtown San Diego Community Court, a nonprofit organization that partnered with various government agencies such as the San Diego Superior Court, San Diego County Public Defender’s Office and San Diego City Attorney’s Office. Prior to becoming an attorney, Martin worked as a Protective Services Worker for the San Diego County Health and Human Services Agency, Indian Specialty Unit. Martin currently teaches at California Western School of Law and has previously taught in the graduate and undergraduate social work programs at San Diego State University. In April 2011, Martin was the key note speaker for California Western’s Annual Pro Bono Awards Ceremony. She has presented on various topics related to child welfare such as the role of minor’s counsel and the role of social workers in dependency practice, collaborative advocacy, dependency practice at the trial court level, the rights of children in foster care, and children of color in foster care. Martin has presented at the University of California Riverside Extension Juvenile Institute, the Annual State Bar of California Conference, and the California Administrative Office of the Courts, the California Blue Ribbon Commission, and the Indian Child Welfare State Conference, the National Foster Parent Association Conference, the California Social Work Education Center and San Diego Youth Empowerment Services. She received the San Diego County Exemplary Service Award in 2006 and in 2007, was the recipient of the California Western School of Law Alumni Fund Raising Project for the Advanced Mediation Program in 2008 and received the San Diego County Public Defender Customer Hero Service Award in 2010. Martin also was certified as a Child Welfare Law Specialist in 2010.